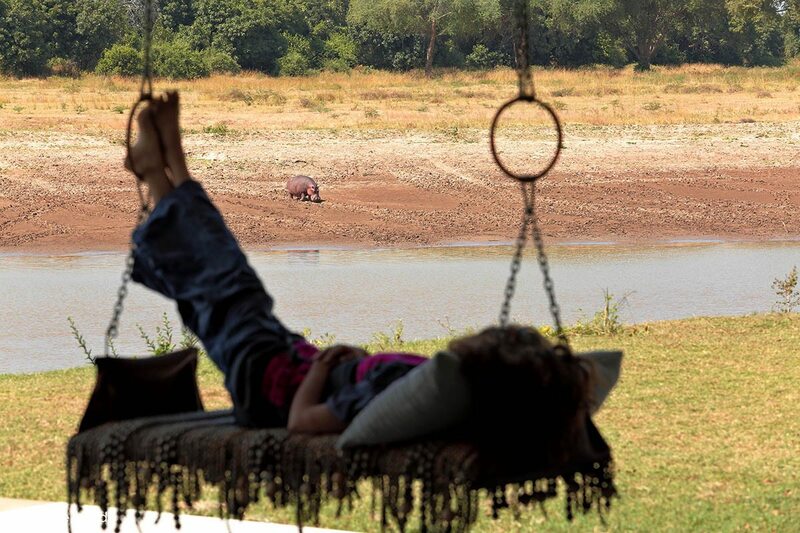 Shaded by ancient msikzi trees on 24ha of private land, Chinzombo offers uninterrupted panoramas over the Luangwa River. Combining modern architectural forms with organic materials and indigenous building methods, each villa at this luxury Zambia safari lodge melts into the surrounding landscape, much as you will on its legendary walking safaris. The heat is somnolent as we climb into a 10-seater plane, but it cools rapidly as we fly over the Muchinga Escarpment, which slopes down into the grasslands that become the floodplains of the Luangwa River – the lifeblood of the South Luangwa National Park. We touch down at Mfuwe, a remote airstrip that forms the gateway to the Luangwa Valley.From here, it’s a hop, skip and a jump into the park. The game viewing immediately starts when we park next to a group of young male lion relaxing in the shade. Many sightings later, a short boat ride across the hippo-and-crocodile-laden river takes us to the lodge on the other side.Set under the shade of ancient msizki trees, Chinzombo consists of a main camp and six generously spaced villas. We’re taken on a whirlwind tour, discovering the dining room, lounge, bar, library, spa and curio shop, each testament to the architect’s vision of minimalist design merged with authentic Zambian building and craft techniques.With tree trunks as table bases, hanging copper lamps and a live tree as the living room’s centrepiece, it’s the essence of what a safari lodge should be, melting into the surrounding landscape while providing five-star luxury. The heat is somnolent as we climb into a 10-seater plane, but it cools rapidly as we fly over the Muchinga Escarpment, which slopes down into the grasslands that become the floodplains of the Luangwa River – the lifeblood of the South Luangwa National Park. We touch down at Mfuwe, a remote airstrip that forms the gateway to the Luangwa Valley. From here, it’s a hop, skip and a jump into the park. The game viewing immediately starts when we park next to a group of young male lion relaxing in the shade. Many sightings later, a short boat ride across the hippo-and-crocodile-laden river takes us to the lodge on the other side. Set under the shade of ancient msizki trees, Chinzombo consists of a main camp and six generously spaced villas. 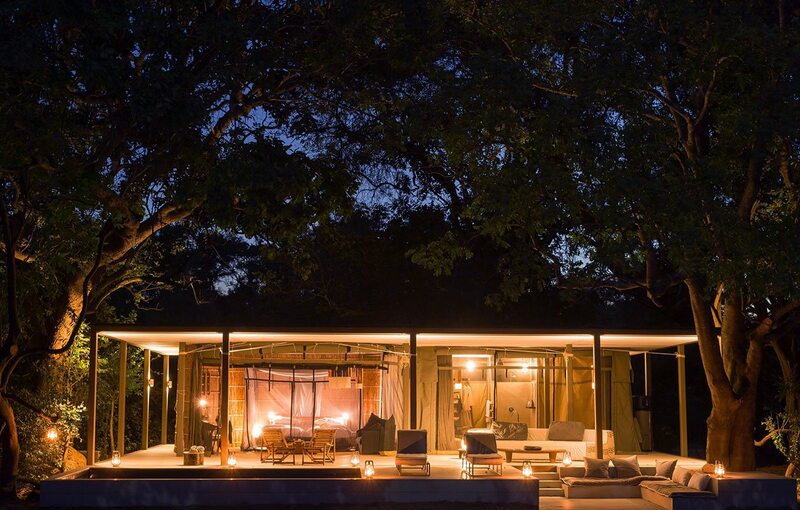 We’re taken on a whirlwind tour, discovering the dining room, lounge, bar, library, spa and curio shop, each testament to the architect’s vision of minimalist design merged with authentic Zambian building and craft techniques. 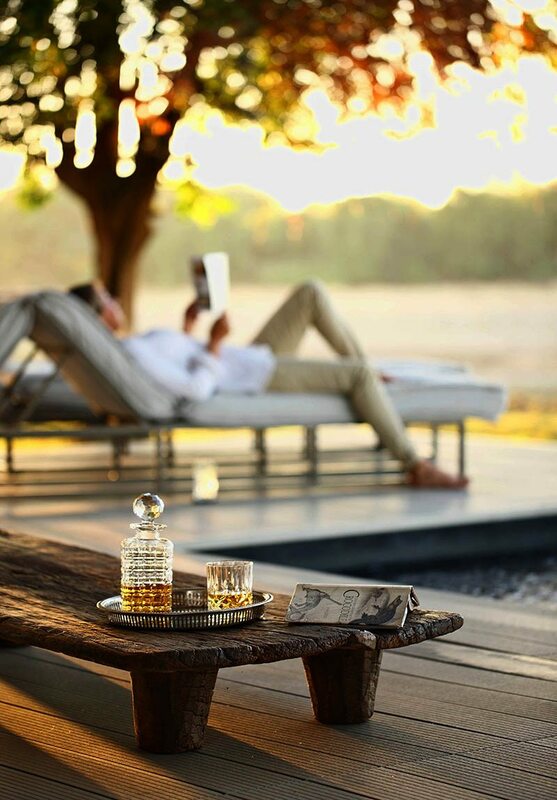 With tree trunks as table bases, hanging copper lamps and a live tree as the living room’s centrepiece, it’s the essence of what a safari lodge should be, melting into the surrounding landscape while providing five-star luxury. Surprising a mongoose raiding an ant mount, we arrive at our spacious villa, which is built of recyclable steel, thatch, canvas and grass on a slightly raised timber platform overlooking the river. 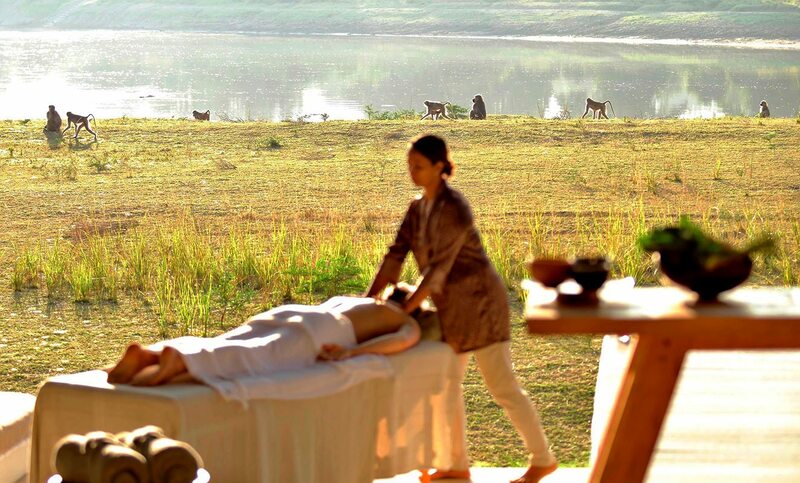 It has the same natural, organic effect as the rest of the camp, while being unabashedly luxurious and somehow cosy. The circular bedroom has a king-sized bed, and the manager points out the innovative eco-friendly air-conditioning unit that will keep us cool beneath the mosquito nets. An en-suite bathroom with canvas walls is open-sided for expansive views over the Luangwa, best enjoyed while having a bubble bath!We walk onto the villa’s shaded deck, and sit down at the outdoor lounge – soon to become our favourite place – which looks over our private plunge pool. It’s thrilling to see several carmine bee-eaters swoop across the water, darting in and out of their burrows to feed their young. Lunch is delivered to us as per our earlier request, and seeing some of the delicious food being laid out, we really can’t see any reason to leave our safari paradise (although perhaps we’ll need to work off our indulgences on a walking safari!). Surprising a mongoose raiding an ant mount, we arrive at our spacious villa, which is built of recyclable steel, thatch, canvas and grass on a slightly raised timber platform overlooking the river. 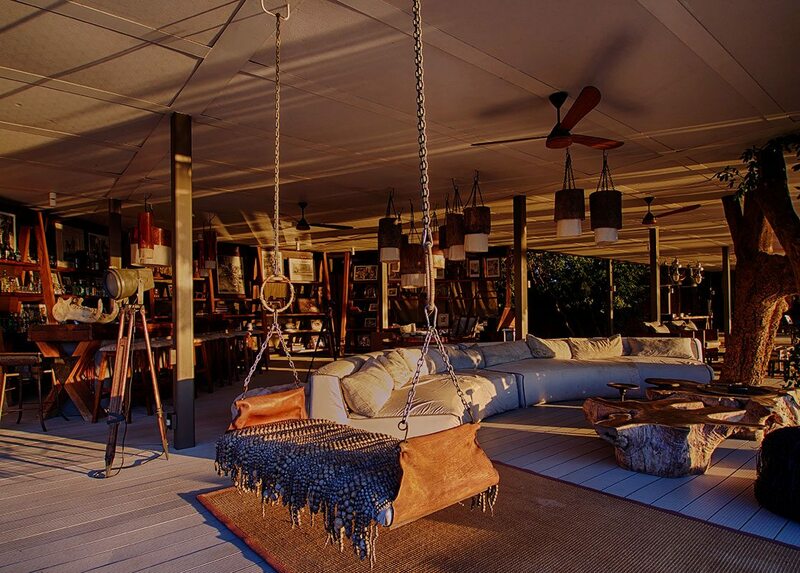 It has the same natural, organic effect as the rest of the camp, while being unabashedly luxurious and somehow cosy. The circular bedroom has a king-sized bed, and the manager points out the innovative eco-friendly air-conditioning unit that will keep us cool beneath the mosquito nets. An en-suite bathroom with canvas walls is open-sided for expansive views over the Luangwa, best enjoyed while having a bubble bath! We walk onto the villa’s shaded deck, and sit down at the outdoor lounge – soon to become our favourite place – which looks over our private plunge pool. It’s thrilling to see several carmine bee-eaters swoop across the water, darting in and out of their burrows to feed their young. Lunch is delivered to us as per our earlier request, and seeing some of the delicious food being laid out, we really can’t see any reason to leave our safari paradise (although perhaps we’ll need to work off our indulgences on a walking safari!). 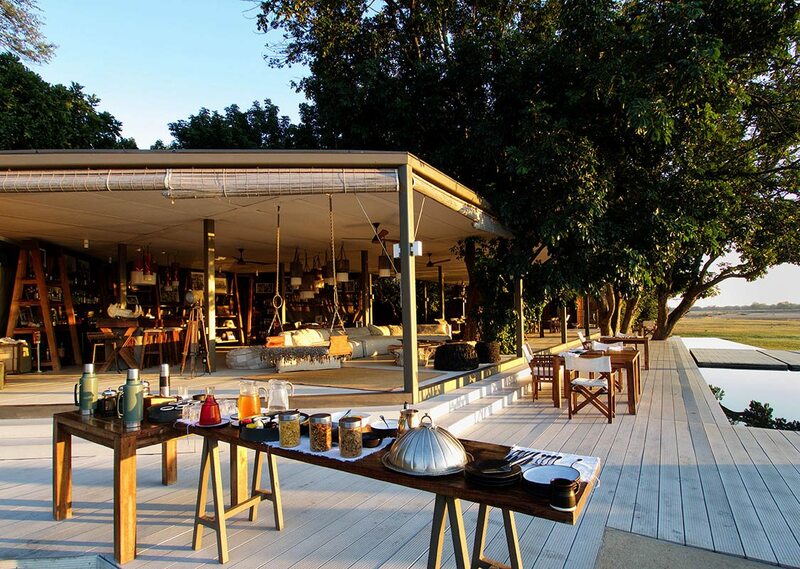 Despite its ultra-luxurious design, there’s something about Chinzombo that gives it an authentic bush-camp feel. It could be that walking safaris start right from the lodge, that it pays homage to the early days of guiding (and offers guiding that’s second to none), or that you might spot wildlife before breakfast.Here, elephant come to drink at the water’s edge, hippo lumber through camp at night, and vervet monkey swing past. 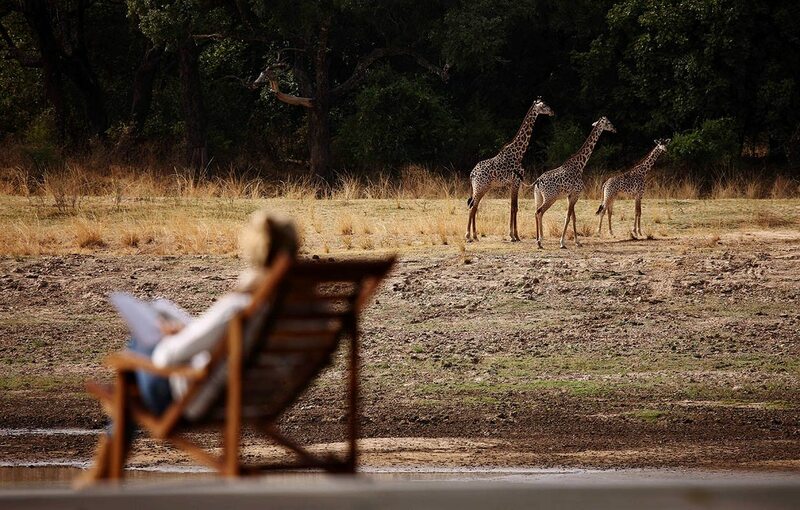 Although Chinzombo’s walking safaris are unmissable, it’s also the perfect place for an armchair safari, striking the balance between exclusivity, authenticity and luxury. Despite its ultra-luxurious design, there’s something about Chinzombo that gives it an authentic bush-camp feel. It could be that walking safaris start right from the lodge, that it pays homage to the early days of guiding (and offers guiding that’s second to none), or that you might spot wildlife before breakfast. Here, elephant come to drink at the water’s edge, hippo lumber through camp at night, and vervet monkey swing past. 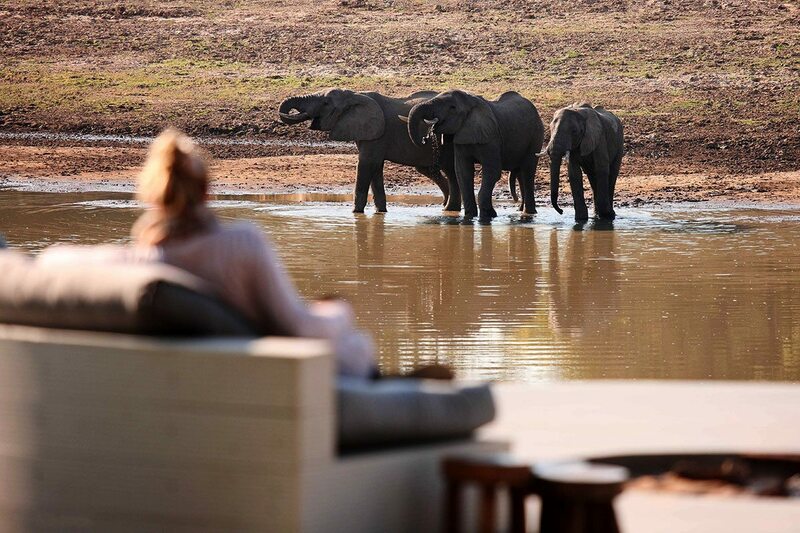 Although Chinzombo’s walking safaris are unmissable, it’s also the perfect place for an armchair safari, striking the balance between exclusivity, authenticity and luxury. Ultra-luxurious river-facing lodge in South Luangwa National Park with six villas (five double or twin villas and one two-bedroomed family villa), each with private plunge pool. The lodge has a curio shop, spa, gym and library. 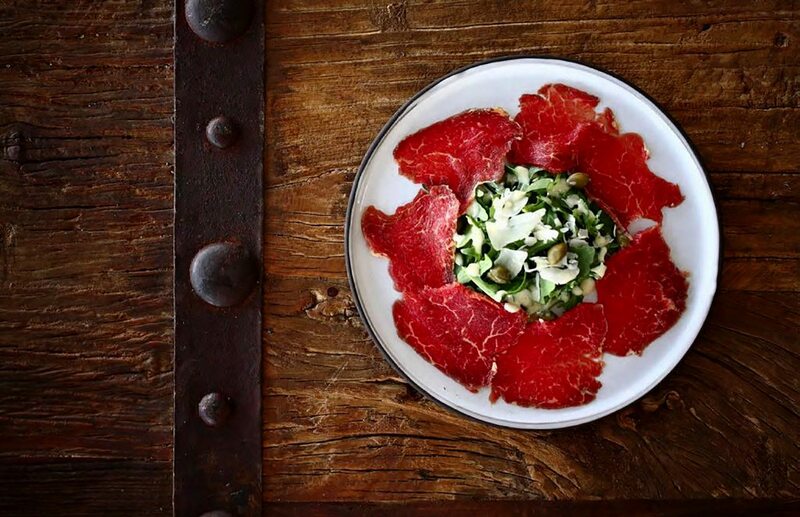 Superb river frontage, private dining available in a variety of locations and flexible schedules. 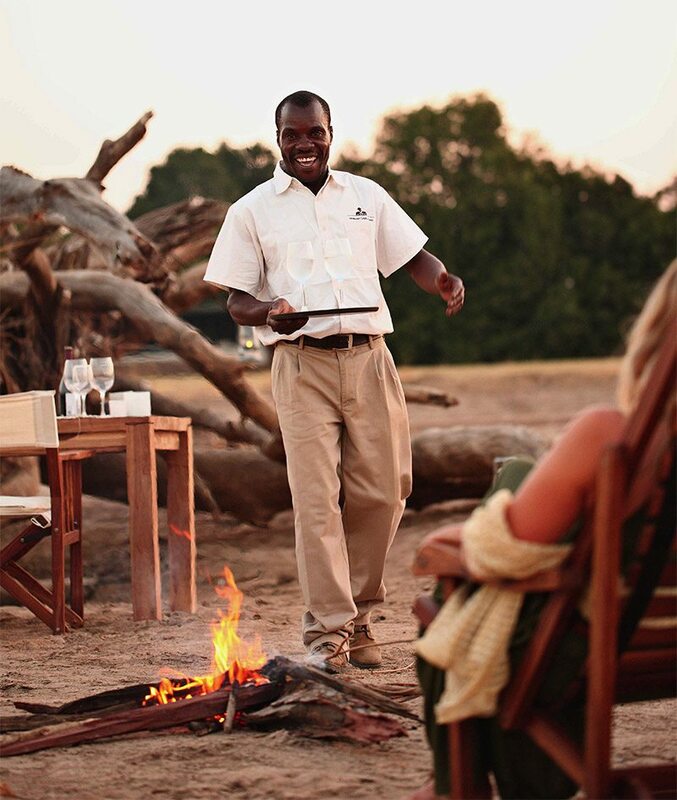 Game drives, walking safaris and in-room spa treatments (additional cost). 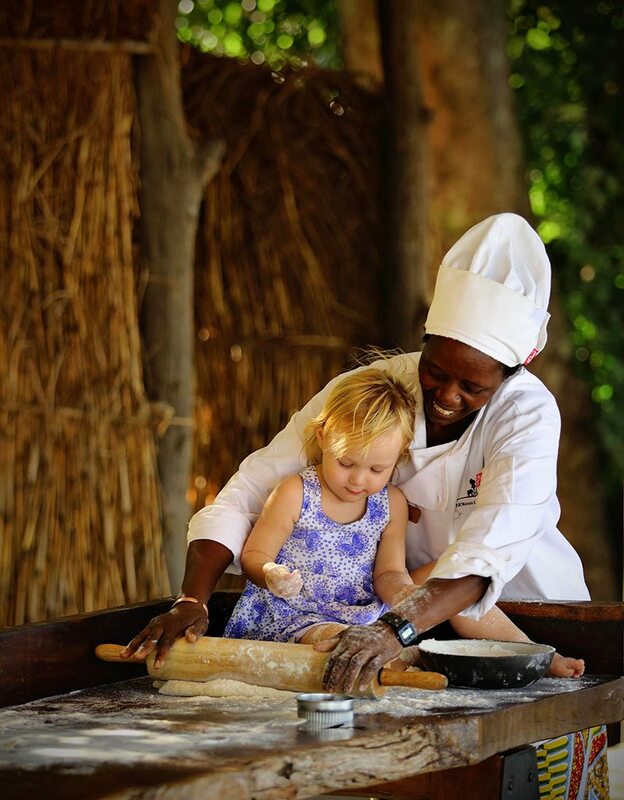 Children welcome, with one two-bedroom family villa available. Walking safaris have a minimum age of 12. The cooler winter season is arguably the best time to see the concentrations of wildlife along the Luangwa River and around the oxbow lakes. The drier conditions mean that all parts of the park are accessible, although boating activities may be restricted. Warm days are bookended by fresher mornings and evenings, although temperatures start to rise quite steeply just before the rains arrive. The end of winter is announced by a sudden profusion of flowers in the trees, as if to welcome return of the life-giving rains. Known locally as the ‘Emerald Season’, and with good reason, the summer rains see the re-greening of South Luangwa. It’s a humid time of new life – lush green vegetation and young animals in profusion, plus the arrival of many migrant bird species. Rising water levels make boating on the Luangwa River an option, and while some more remote camps may close, those that remain open tend to be more flexible about family travel (and offer lower rates). Rainfall tends to happen at night, so daytime safari activities are largely unaffected.